Julio Dominguez is Senior Vice President of Generational Capital Markets, Inc., Member FINRA/SIPC., an affiliate of Generational Equity, LLC. Mr. Dominguez brings nearly ten years of valuation, auditing, and analysis experience to his current position as a Senior Vice President. His responsibilities include, but are not limited to, data gathering, financial modeling and analysis, industry research, identifying potential acquirers, and managing due diligence. 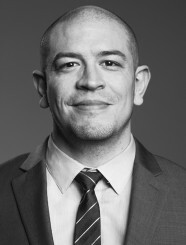 Prior to his current position, Mr Dominguez was part of the Generational Equity Valuation team. He served clients by performing professional business evaluations through detailed financial and industry analysis. Mr. Dominguez valued over 100 private companies operating in various industries. Mr. Dominguez holds a B.A. degree from the University of Texas at Arlington. He also holds an MBA with a concentration in finance and investments from the Cox School of Business at Southern Methodist University.